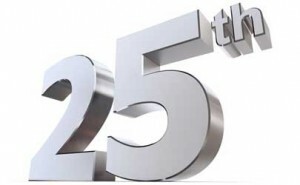 August 2015 marks the beginning of the 25th year of business for APEX Controls. We attribute our success to our many loyal customers, our talented employees and our reliable vendors. We hope to celebrate this milestone with our customers, vendors, employees, family and friends in the summer of 2016. We are very thankful for a quarter century of growth and prosperity. Stay tuned for the save the date announcement.